This iconic hot-weather drink that makes you want to lazily drawl your vowel sounds as you leisurely rock back-and-forth on your porch has been a popular refreshing elixir for more than a century. Sweetened or unsweetened and sometimes mixed with other flavors such as lemon, mint, peach, apple, cherry, strawberry - however you enjoy it let’s raise a glass of our beloved bevy and say cheers. Did you know that next to water, tea is the most consumed beverage in the world? In 2014, Americans consumed over 80 billion servings of tea, or more than 3.60 billion gallons. Approximately 85 per cent of the tea consumed in America is iced. Ready-to-Drink iced tea has spiked over the last ten years with sales conservatively estimated to be more than $5.2 billion. We have the 1904 World’s Fair to thanks for the lift-off in popularity of iced tea. That exceedingly hot summer meant fair goers were looking to cool down and what better way than with a glass of iced tea. By the First World War, Americans were buying tall glasses, which became commonly known as iced-tea glasses, long spoons suitable for stirring sugar into taller glasses and lemon forks. Prohibition, which ran from 1920 to 1933, helped boost the popularity of iced tea as Americans looked at alternatives to drinking beer, wine and hard liquor, which were made illegal during this period. Cold tea reared its head in the early nineteenth century when cold green tea punches spiked with booze gained in popularity. Recipes began appearing in English and American cookbooks. Generally referred to as punches, the recipes called for green tea and not black tea. While most iced teas get their flavor from tea leaves, tisanes or herbal teas are also sometimes served cold and referred to as iced tea. 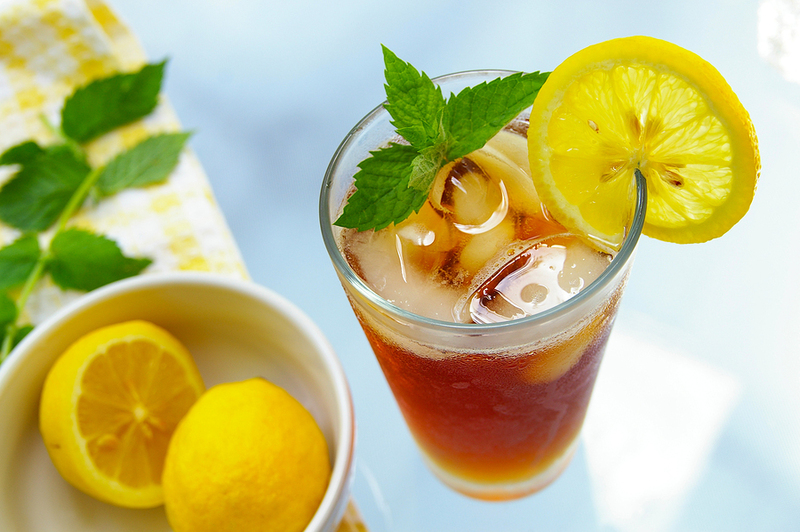 Iced tea is sometimes made by a particularly long steeping of tea leaves at a lower temperature (one hour in the sun versus five minutes at 80-100 °C). Some people call this sun tea. In addition, sometimes it is also left to stand overnight in the refrigerator.